Overview: PRIME School is a new charter school opening in Los Angeles in 2018. 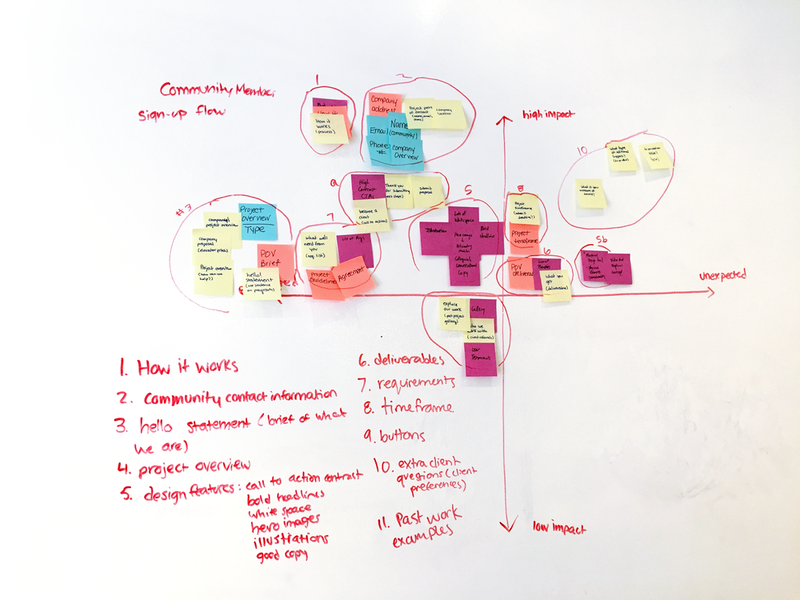 We were asked to help PRIME design a digital platform for their “Point of View” course framework, which involves students working directly with community partners on real world design challenges. Challenge: Our focus is on the POV course. We want to make sure the communication between partners, teachers, and students is easy, clear, and ongoing. Solution: We designed an onboarding flow for potential community partners to pitch their challenges and start communication with PRIME School. This is a place where community members can find out about the POV course, provide information to PRIME School, and begin the application process to becoming a partner. Role: UX Design Lead. I lead the overall process and managed the product through to the end deliverable. Deliverables: Competitor Analysis, User Personas, User Flows, Sketches, Wireframes, Clickable Prototype, Hi-fidelity mock-up. 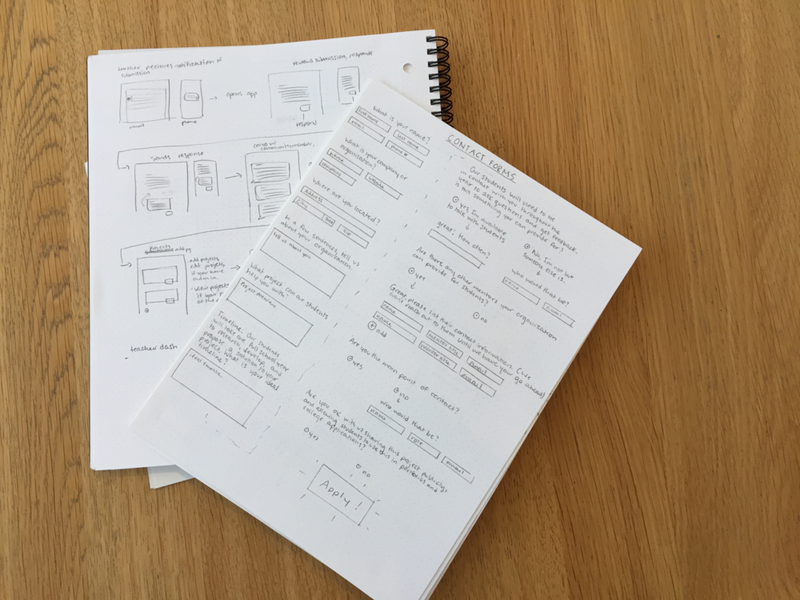 Tools: Photoshop, Sketch, Invision, Whiteboarding. In our first talk with PRIME School, we came away with a wide scope of needs for the POV course. • The need for a tool that facilitates easy communication between mentors, students, teachers, administration. • The need for a place to document and archive projects. Since this is a new school, and the POV course is still in its concept phase, we studied comparable systems and found users in similar roles for our research. We began with competitor analysis, looking into student portals, messaging systems, and other peer to community service organizations. We also conducted user interviews with community volunteers, students, teachers, and admin who organize community service projects. Part of my job, as a human, is to use whatever skills & talents I have to the benefit of someone else. I love what I do. It keeps me coming back. • Wants the students to have a meaningful experience. • Wants to push boundaries and encourage students to make decisions. • Wants to worry less about logistics and focus more on the students. • Juggling a lot of responsibilities. I want to make something that has meaning. • Involved in her community and active in student groups. • To have a strong voice in subjects that matter to her. • She’s most interested in writing and film. • Being treated like a kid. • Feeling like her voice isn’t heard. We learned that our users are self driven and purpose driven, but are also very busy. When it comes to working together on projects, it’s important that everyone is on the same page from the beginning. We took this insight to narrow our scope and focus on the initial interaction between PRIME School and the Community Partner. 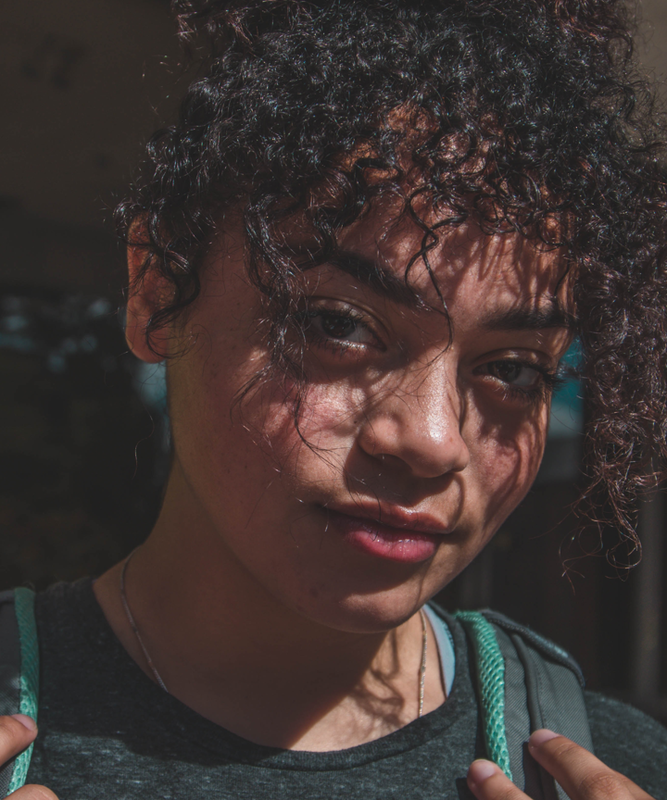 How might we help convey the specifics of the POV course to community partners, and make the sign-up process easy and efficient for both potential community partners, and PRIME School? • Design a simple and effective onboarding site for community members to sign-up to be partners in the POV course. • This will be a place where community members can find exactly what the class is, how it works, what is needed from them, what is delivered to them, and they can submit a proposal straight from the site. • We want this to stand out as a feature of PRIME School with clean and current visual design. • Design to scale so eventually this site can be a hub of information for everything POV. We locked in user flows of the two main users, the PRIME School teacher and the community partner, and how they can use the onboarding site to connect. We also ideated on how this website can scale to eventually become a place for archiving, tracking, and communicating between projects. 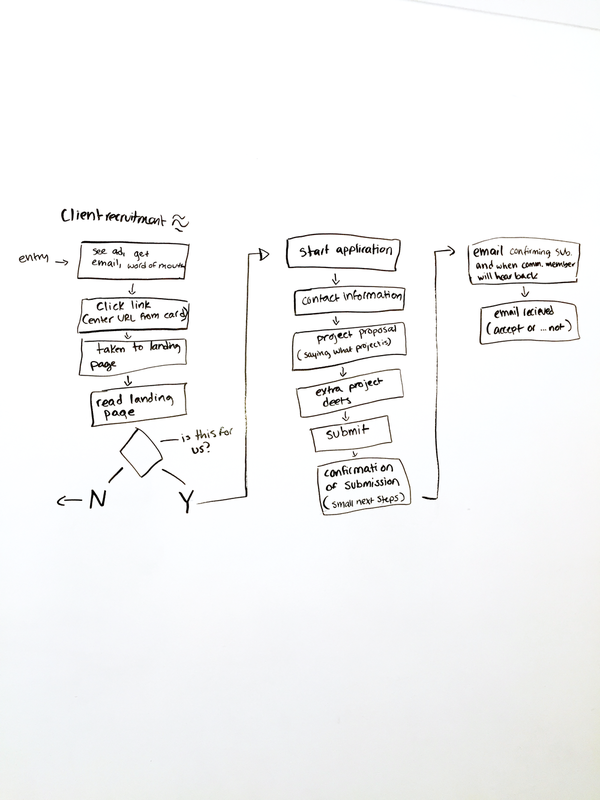 Refined wireflow diagram of onboarding process. Language and layout: A major goal was to make sure we were setting expectations for the course from the beginning. We focused on developing engaging copy that was clear and understandable, in sizable chunks broken up with visuals. 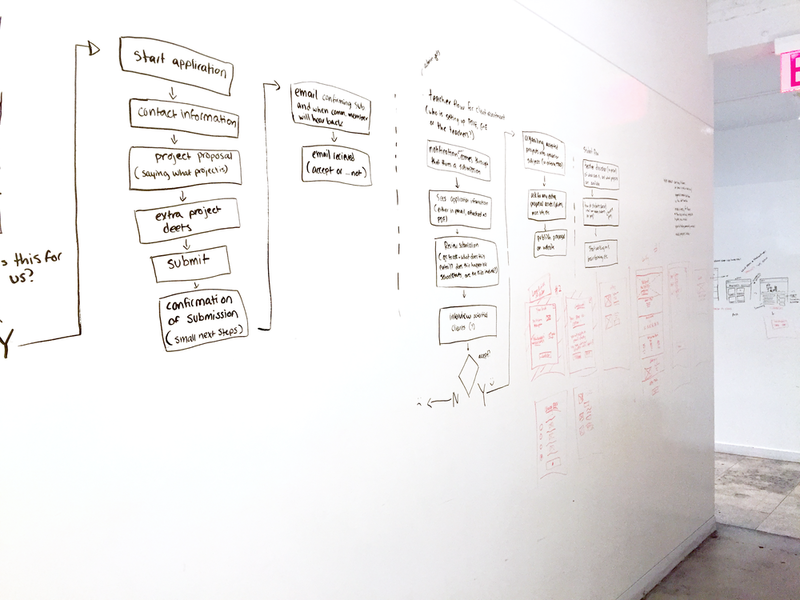 We tested rounds of greyscale wireframes on users to refine our copy, layout, design, and organization. Visual Design: Our final pass implemented the visual design choices. This was a rewarding process for me, being able to step back from being the visual designer and instead help my teammates work through the visual design challenges by giving feedback and providing revisions. Our final deliverable is a hi fi clickable prototype of the onboarding flow, with suggestions and concepts for scaling later on. • build and launch within their budget and time constraints. • use effectively with this first round of the POV course. • continue to develop as the course and school grows. I would love to see this project continue to develop to eventually become a place for archiving projects, organizing schedules, tracking information, and communicating between the groups of users.